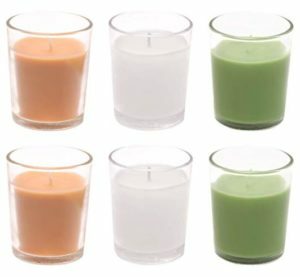 Buy Solimo Votive Glass Candles, Pack of 6 (Scented – Jasmine, Lemon Grass & Sandalwood) at Rs 239 only on Amazon. Decorate your bedroom or prepare your candle light dinner with this. Order now before the price goes up. Hurry!! !